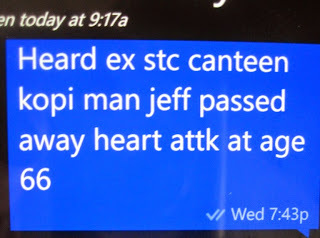 Jeff was the gentleman who gave a farewell dinner for the CCEs when they were given the early retirement in 2003. 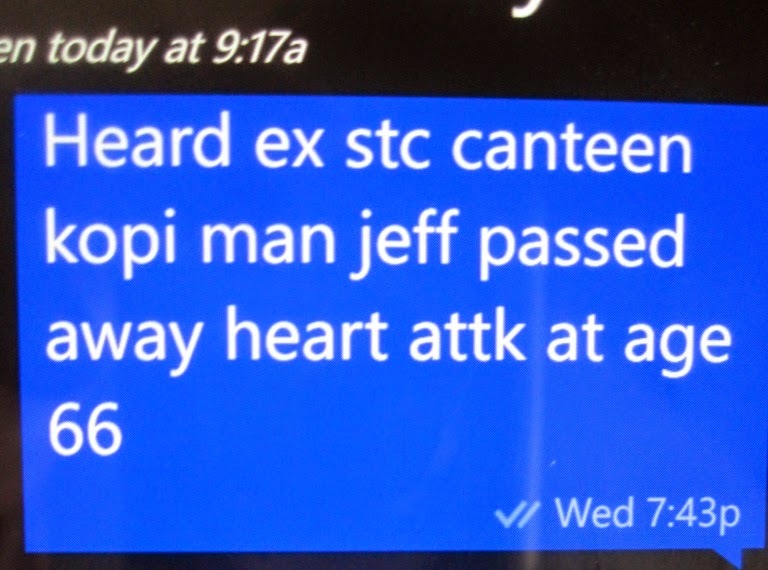 Jeff was the owner of a small coffee stall in the SIA Training Center staff canteen. He was a nice and kind man. We, the ex CCEs mourn the passing of a great friend. May you RIP Jeff! But how come I see everywhere pple TOH young and early?